but they are also an elegant addition to a cocktail party. 1. 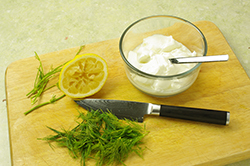 To make the sauce: Combine the sour cream, dill, and lemon juice in a small bowl and stir to blend well. Season with salt and pepper and set aside. 2. 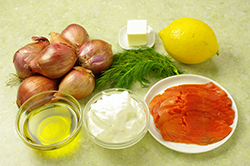 Heat the olive oil and butter in a large skillet over medium-high heat. Add the shallots and sauté for 3 to 5 minutes, or until crisp and golden brown, stirring the shallots to make sure they don’t burn. Drain on paper towels and then transfer to a small bowl and set aside. 3. Arrange the bread or crackers on a platter. Place a small spoonful of dilled sauce on each. 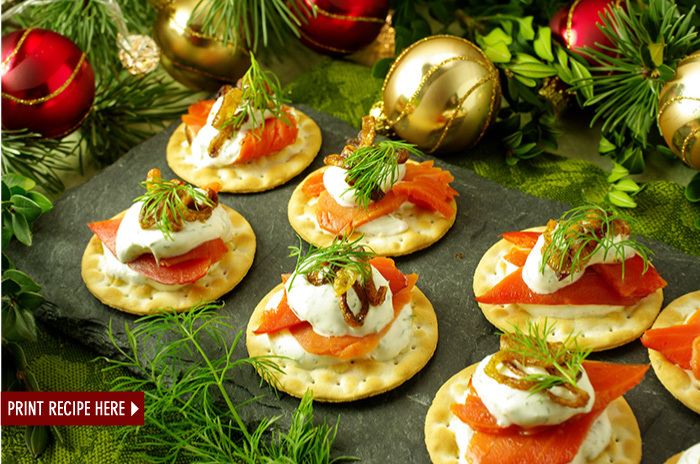 Arrange a salmon slice, rolled up to look like a rose, on top of each bread slice or cracker. 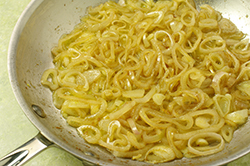 Top with a dollop of the dilled sauce and sprinkle with the crispy shallots. Serve immediately. Party Prep . . . This may be prepared through Step 2 up to 2 hours ahead. 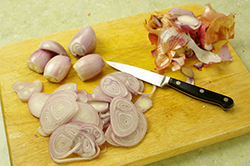 Refrigerate the sauce and leave the shallots at room temperature.